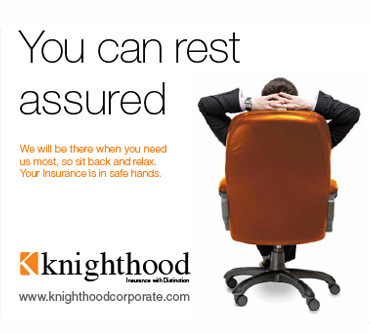 Knighthood were established in 1969 and are a highly successful privately owned specialist Corporate Insurance Broker. Born in East Grinstead, they have steadily grown in size and turnover as the years have gone by. Their company ethos of total client service through professionalism has remained at the core of the company and plays a vital role in their development to this day. 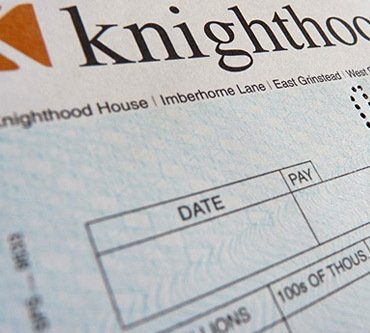 We’ve worked with Knighthood for a number of years and have built a strong understanding of their business needs. The long-standing relationship with this client means we can anticipate their preferences and respond quickly to their on-going requirements. 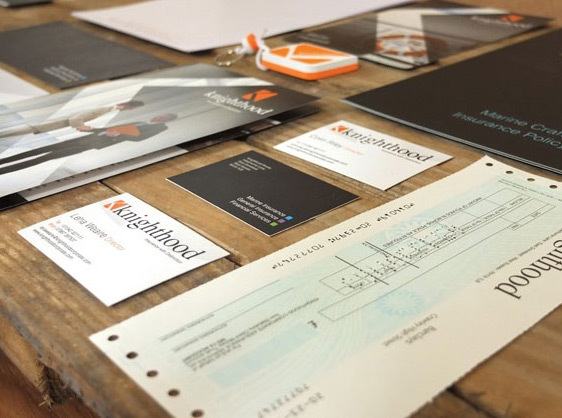 Nexus were asked to refresh the Knighthood brand, losing their original “Knight and Shield” imagery whilst retaining a logo that would be recognised by their well-established customer base. 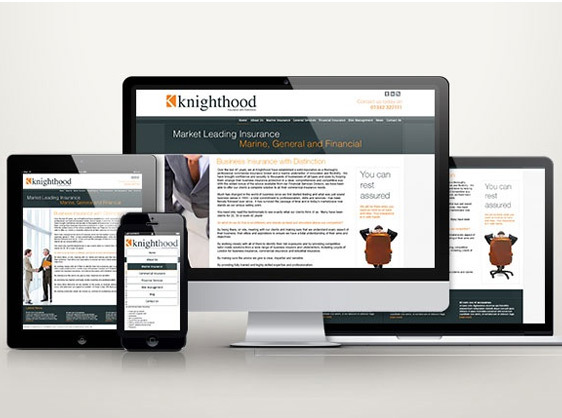 The client was keen to modernise the entire company image and build a brand that would stand the test of time and appeal to new markets. 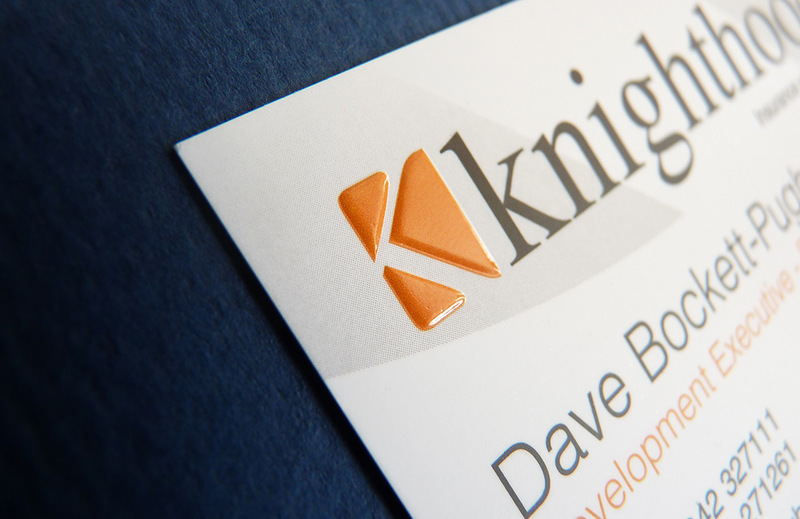 We began by abstracting the K from Knighthood to create a simple yet powerful representation which formed the basis of their logo. Utilising the original accent orange and reworking the rest of the colour pallette, the creative team then brought in fonts and imagery to form the complete corporate identity package. Our client was very pleased with what we delivered and proceeded to roll the brand out across their stationery, literature and office supplies. They remain in close contact with us today and we’ve enjoyed cultivating what has turned out to be healthy and long standing business relationship. 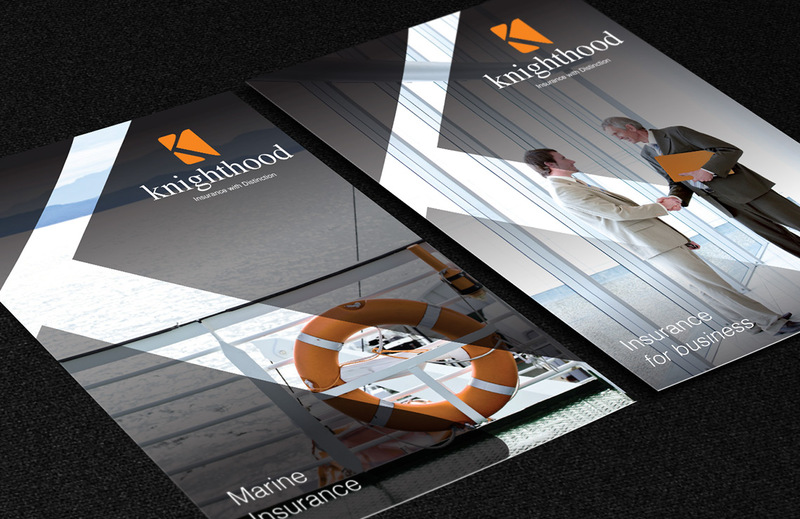 Their modern corporate identity package has strengthened and refreshed the face of the company and reaffirmed their position as a credible and forward thinking insurance partener. 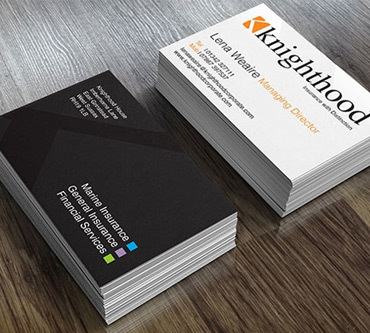 We worked closely with Nexus on our rebrand. We were very attached to our logo; however we were keen to establish a more modern brand. Nexus have helped make the transition as painless as possible, offering us many simple and cost effective ideas that have made us stand out from the crowd, whilst maintaining a new brand we can be proud of. We have introduced the new brand throughout all of our corporate literature, exhibition graphics and website and have received numerous compliments from our clients. There is always someone to talk to who is aware of the work that is in progress, so we know that we are in safe hands.